Many times, basketball games can be viewed as works of art, with observers sometimes describing the teams as poetry in motion. CASTINE, Maine — Many times, basketball games can be viewed as works of art, with observers sometimes describing the teams as poetry in motion. The match-up on Jan. 29 between the UMFK Bengals and the Maine Maritime Academy Mariners wasn’t one of those games. In a game dominated by the officials, where there seemed to be a whistle every other possession, the Bengals made enough clutch plays throughout the second half to beat the Mariners on the road 55-46, making it their fourth win in five days in the midst of a tough stretch including seven games in 10 days. Despite being down by five points at halftime, the Bengals rallied back and gained the lead 29-28 with a three-point shot by Madison Fenner, seven minutes into the third quarter. Additionally, the full court pressure defense from the Bengals forcing the Mariners in to 34 total turnovers was what propelled the Bengals to never look back after gaining that small lead. Due to the tight officiating from the referees, neither team was ever able to gain any sort of momentum; however, the Bengals just got the necessary stops defensively and made enough timely baskets offensively to gain the slim advantage. 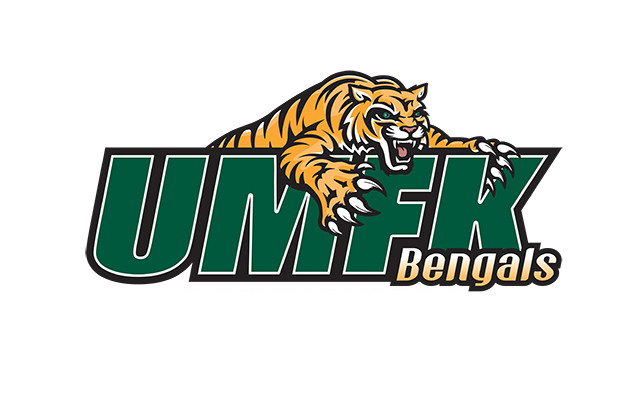 That win for UMFK marked their 20th of the season and they are currently ranked number one overall in the latest USCAA poll. The Bengals lead the USCAA in assists with just over 18 per game. Tajaheray McMahan is the fourth leading scorer in the USCAA with 18 points per game, and point guard Trinity Washington is fifth in rebounds with 10.2 a game and leads the USCAA in assists with 7 per game. The Bengals’ next game is Jan. 31 against Central Maine Community College in Auburn, in what will be a game between two teams with only three losses apiece.